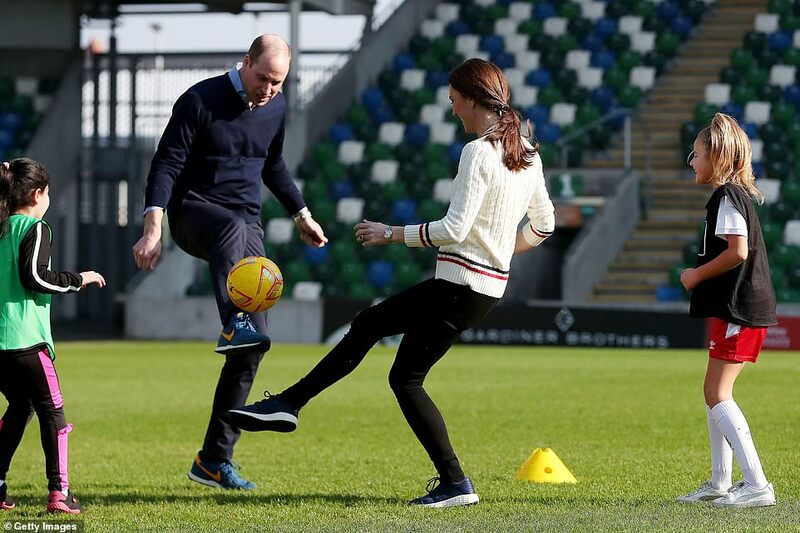 Sporty Kate was in her element as she and William kicked off a surprise two-day tour of Northern Ireland with a visit to a Belfast football stadium. 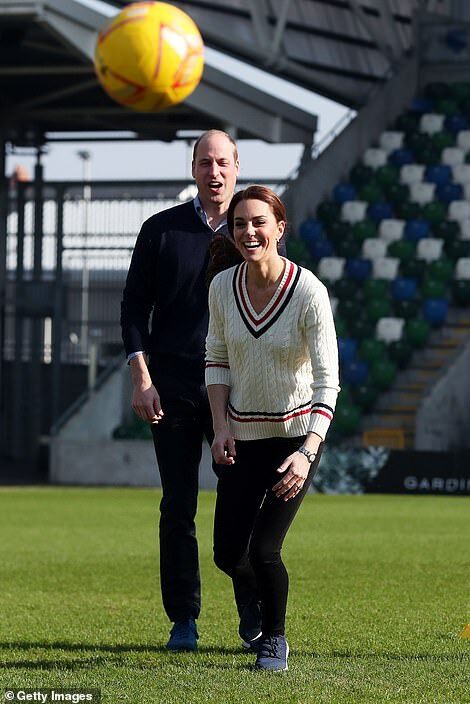 The Duchess of Cambridge, 37, couldn’t keep the smile from her face as she and her husband took to the pitch at Windsor Park for a kickabout with schoolchildren. 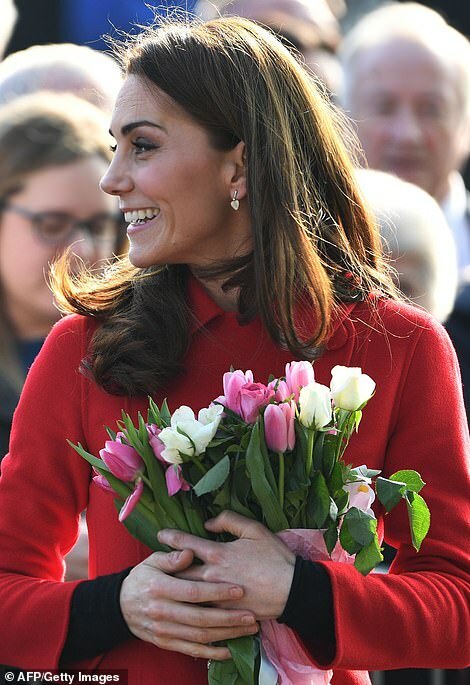 Keen to join in on the fun, the Duchess ditched her £1,200 Carolina Herrara coat and heeled LK Bennett boots for a classic white cricket jumper and £80 Sweaty Betty x New Balance trainers. 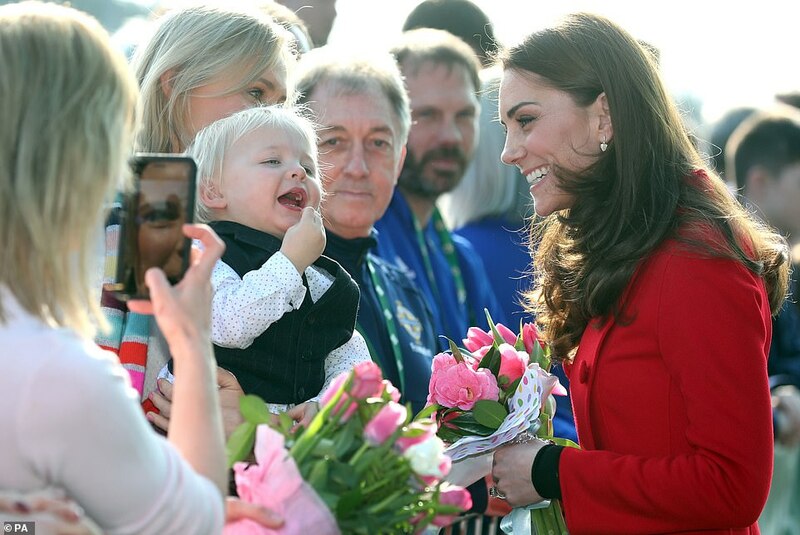 William and Kate playfully jostled with each other as they went head-to-head during the ball skills session, where the mother-of-three impressed with her dribbling. 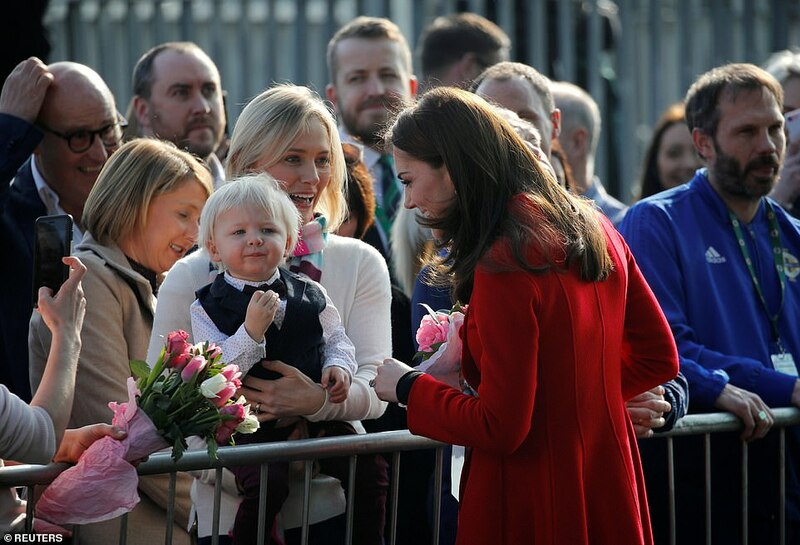 They were greeted outside the stadium by crowds of excited well-wishers. 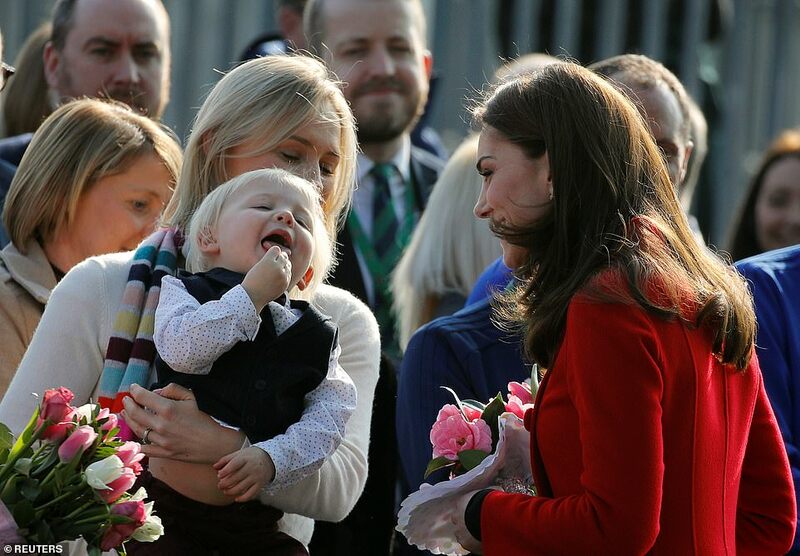 Kate was particularly taken with one smartly-dressed little boy she spotted in the crowd. 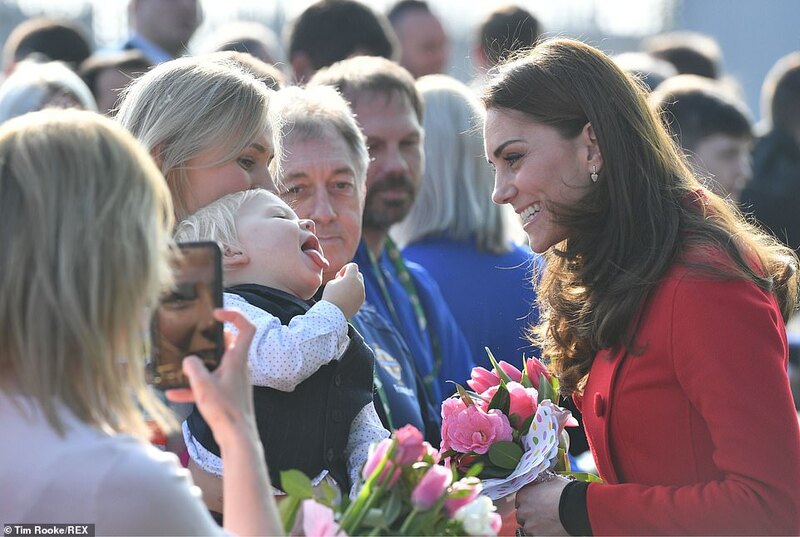 The royal mother-of-three cooed over the spirited youngster and cracked a smile when he cheekily stuck out his tongue. 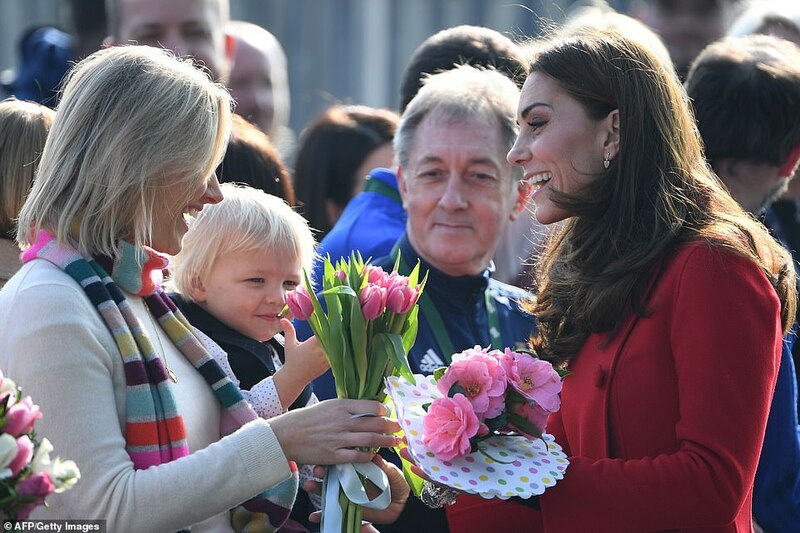 The couple will spend Wednesday and Thursday carrying out a number of engagements in Belfast, Fermanagh and Ballymena. 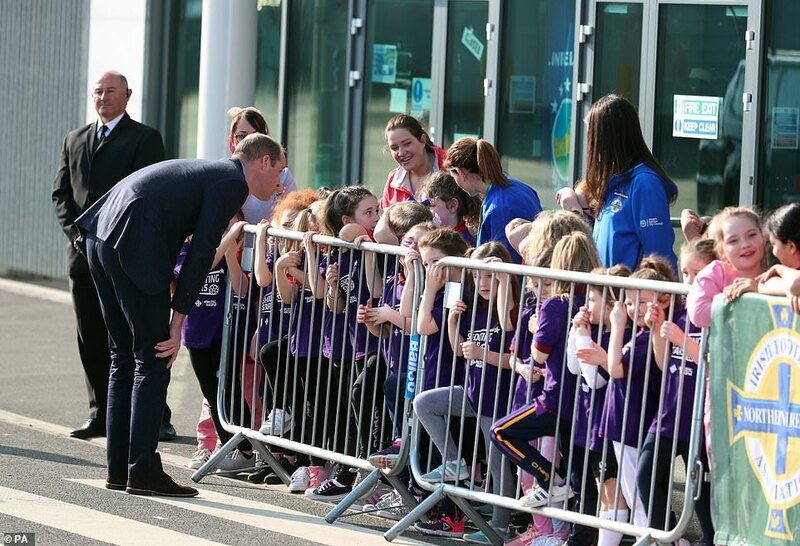 Out on the Windsor Park turf, the royals joined in some training exercises with local schoolchildren. 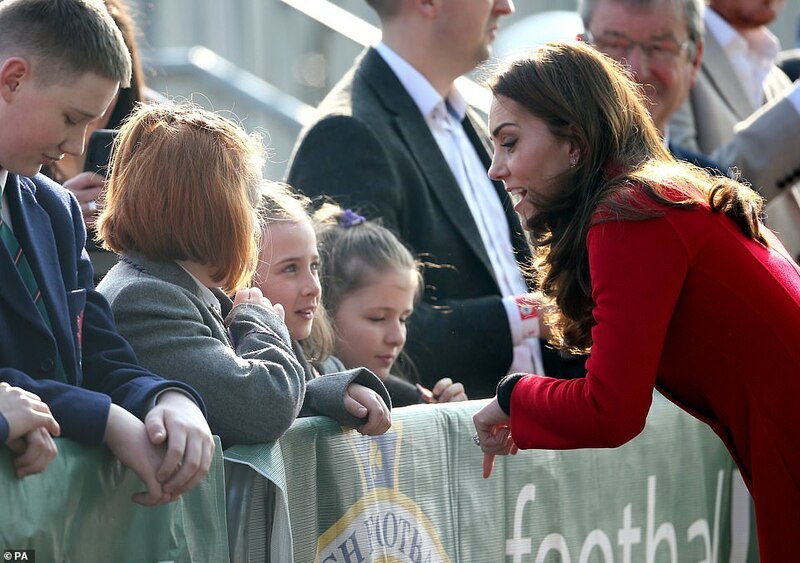 Kate and William both had a go at dribbling drills, to the delight of the young footballers. Kate ran around a marked-out square keeping the ball under control and also jogged up and down on the spot. Both participated with gusto, running about with their young teammates, passing and tackling during the well-spirited encounter. 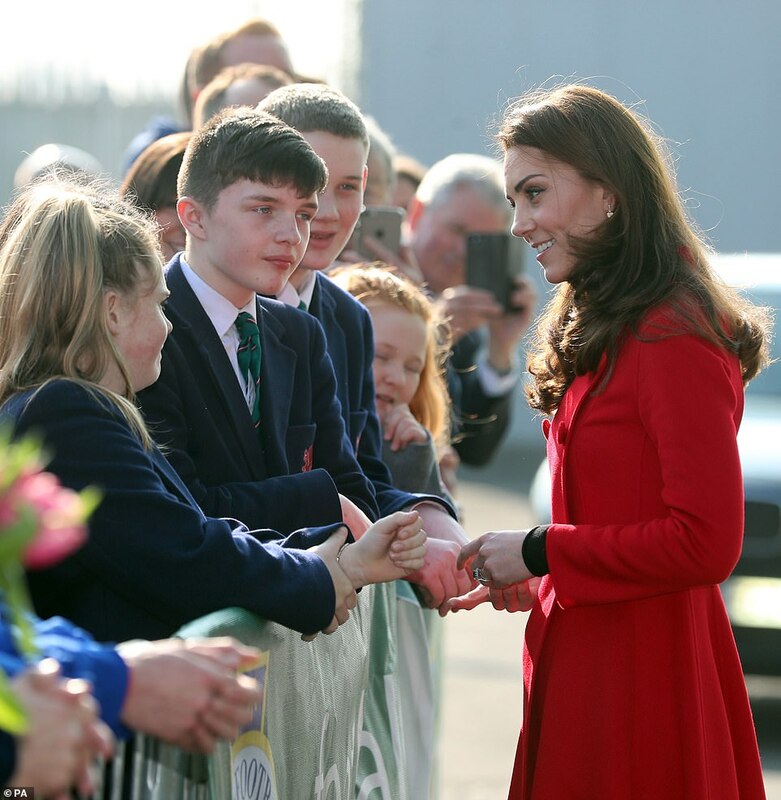 On arrival at the National Stadium at Windsor Park, the couple were greeted by scores of cheering schoolchildren. 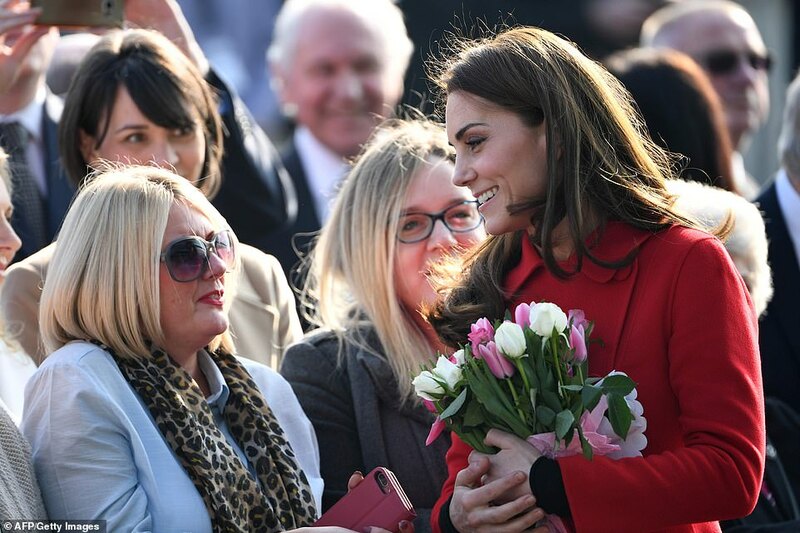 William and Kate stopped to chat with the crowds, with the Duchess being presented with a number of bunches of flowers. International boss Michael O’Neill was among senior Irish Football Association staff who welcomed them at the entrance to the recently redeveloped venue. O’Neill, who himself won 31 caps playing for Northern Ireland, has been credited with bringing the glory days back to the team during his tenure as manager. 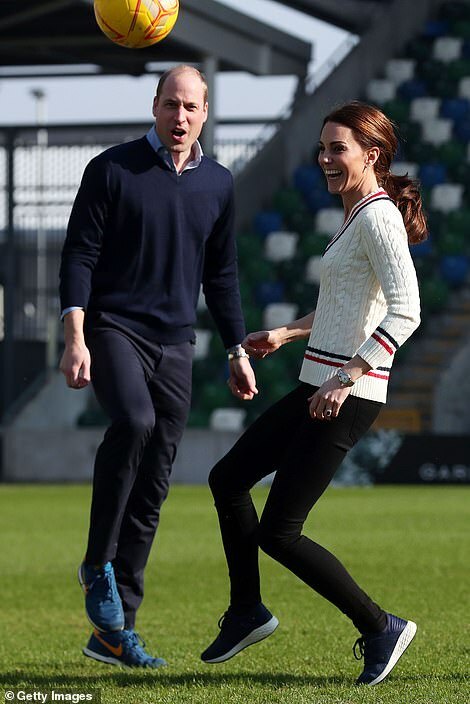 During their tour of the venue, the couple also met Northern Ireland footballing legend Pat Jennings. Former Spurs and Arsenal goalkeeper Jennings is Northern Ireland’s record caps holder, with 119 appearances during a career that took in the 1982 and 1986 World Cup Finals. 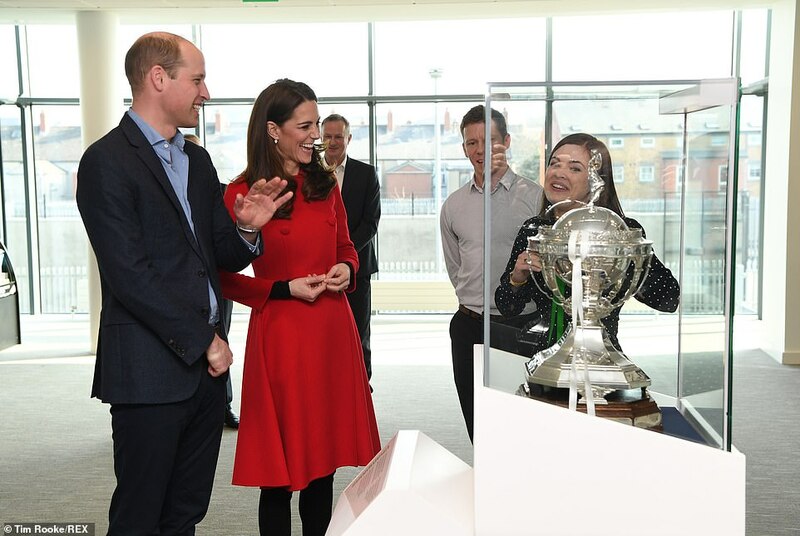 William and Kate were shown a bronze cast print of the stopper’s celebrated ‘safe hands’ as they walked through the stadium’s heritage centre. 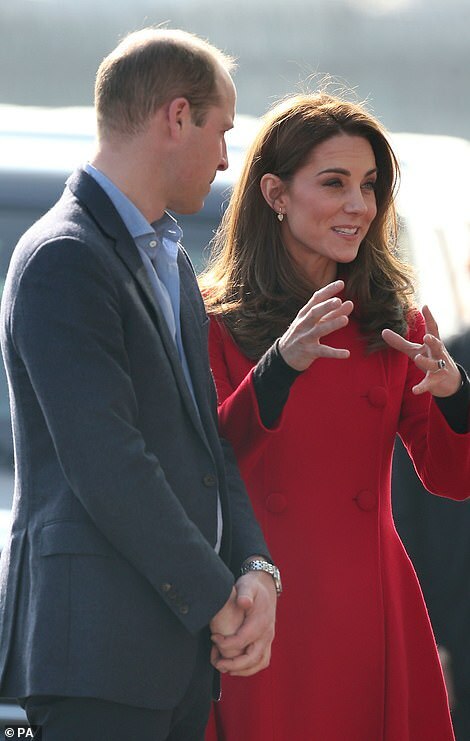 The couple will then travel to the Roscor Youth Village charity in Co Fermanagh, which is a residential activity centre for children referred by social workers. 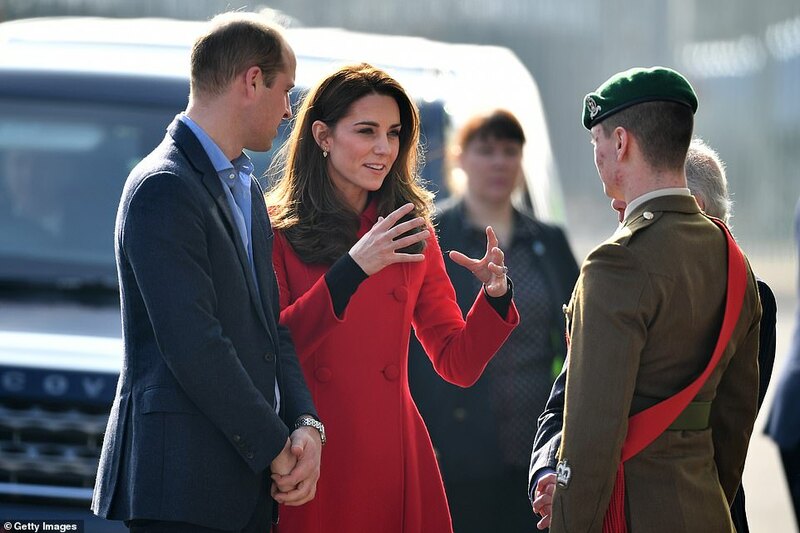 It is the third time the couple have visited the region together. Their final visit of the day will be to Belfast Empire Hall to celebrate ‘inspirational young people who are making a real difference in Northern Ireland’. 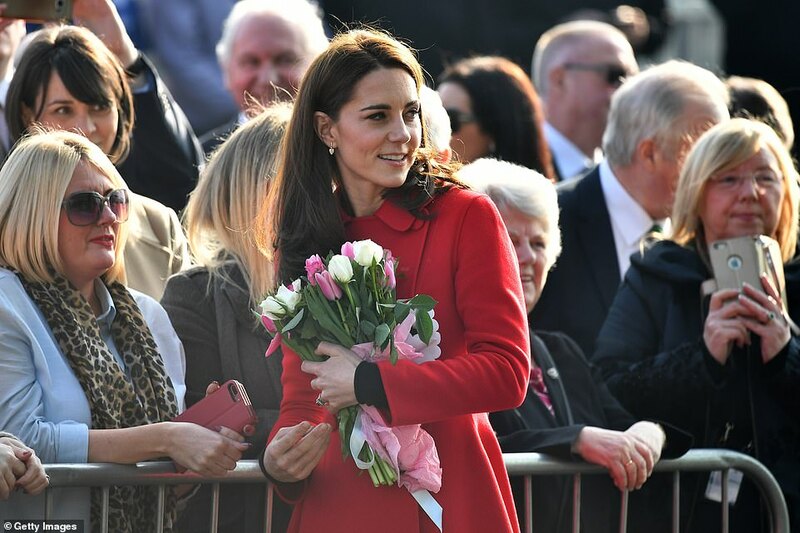 On previous visits, the couple attended a garden party at the royal residence at Hillsborough Castle, Co Down, in June 2016, when they mingled with many of the 2,500 invited guests. Five years earlier, they visited Northern Ireland just weeks before their wedding. 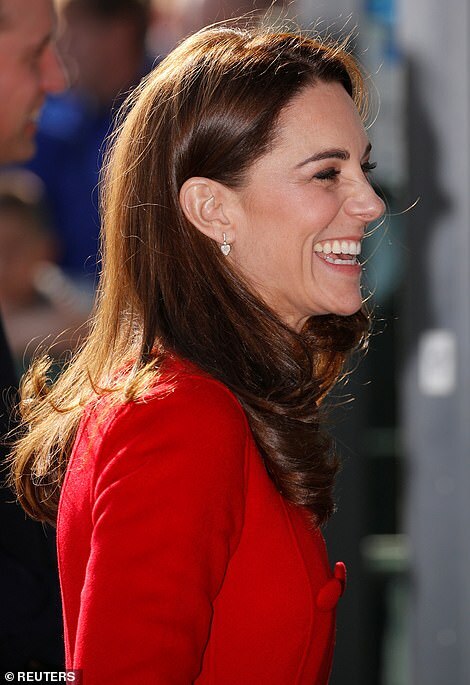 On that occasion, Kate tossed pancakes at Belfast City Hall and hammered in fence posts at Greenmount Agriculture College in Co Antrim.